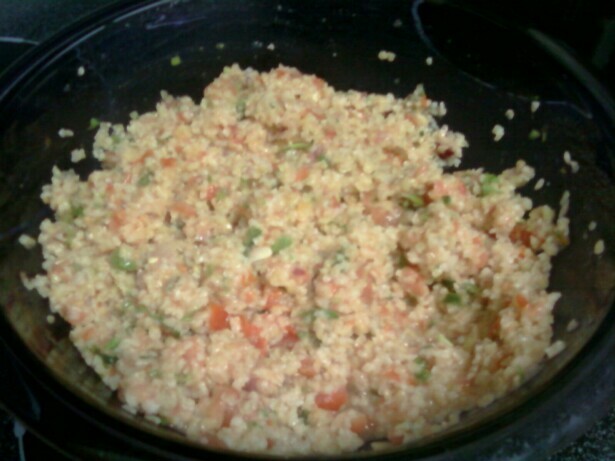 Bulgar is not only SUPER nutritious, it’s also REALLY easy to prepare! 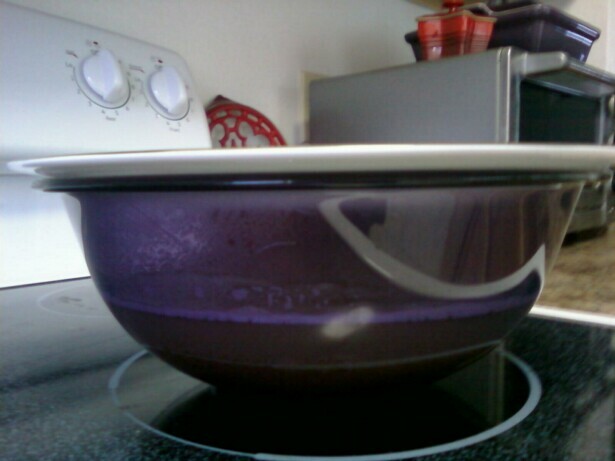 All you need is a bowl and some boiling water and you’re in business. 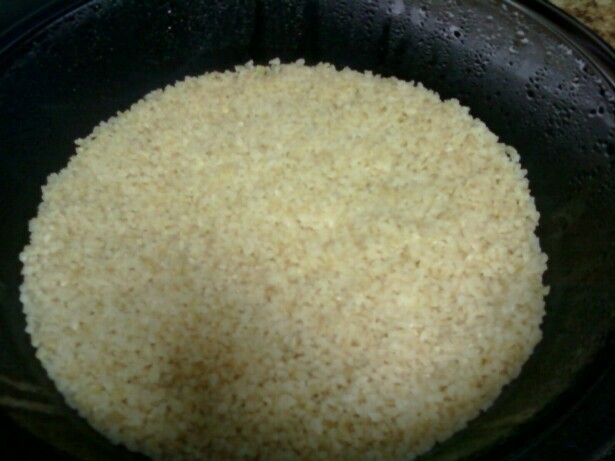 The traditional ratio is 1:2, bulgar wheat: water. I found that I still had to strain water out at the end, so I recommend using less. Use any amounts with the same ratio. It will absorb better which is especially important if you’re going to be adding liquids to it to make tabbouleh or something else. 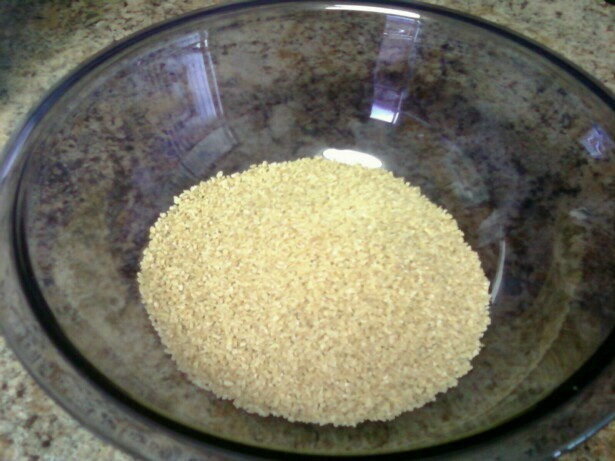 Place bulgar wheat in a bowl large enough to fit it, and the water. 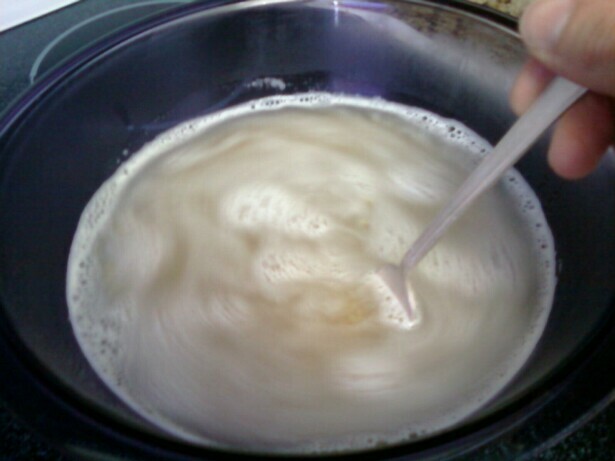 Add boiling water and cover for 20 – 30 minutes. At this point, the water should be absorbed. If you still have some water remaining at the bottom you can strain it out. From here you can use it for whatever you like. I added some homemade salsa (it had parsley in it!) to it to make a lazy girl’s low-fat tabbouleh. Add the water and stir bulgar. I covered it with a dinner plate. About 30 minutes later. If there is still some water at the bottom, you can strain it out. I added about 2/3 cup of my chunky homemade salsa, some more sea salt, a little more chopped parsley and a second or two spray of olive oil to make some easy, low-fat tabbouleh. Thanks that worked awesome! Just cooling now and adding my bits!